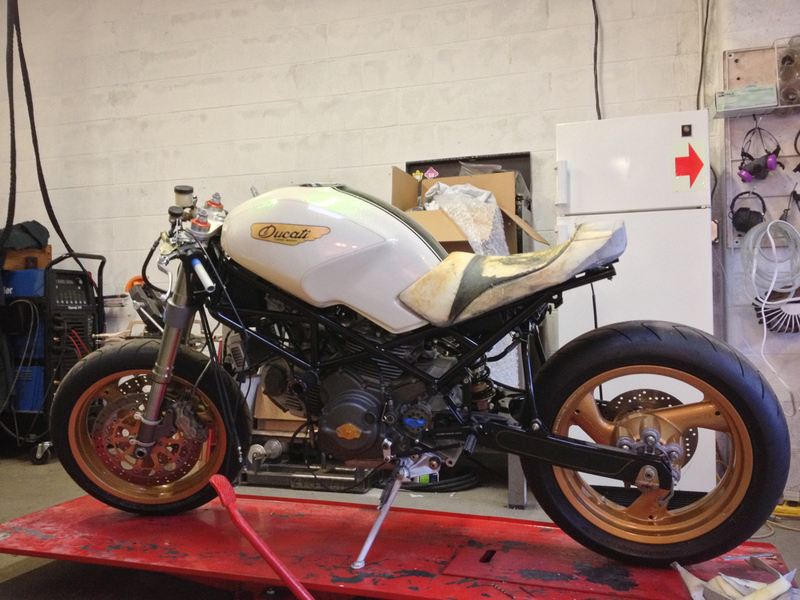 Now, the Monster Project, my Ducati Monster build was finished in January and dubbed with the fitting name, “Pandora’s Box”. In honor of Throwback Thursday, I’ll be bringing back different processes from the project until the build is completely represented online for anyone to reference. My inbox gets at least one message every week, often more, asking me about different parts of the build and the steps within. 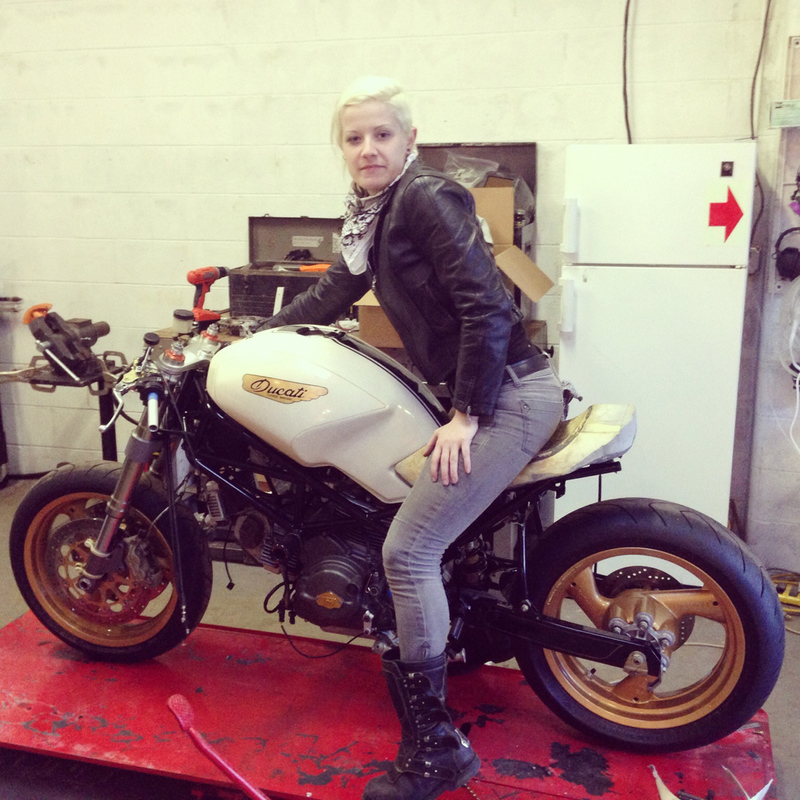 Because the whole thing got away from me, I never fully finished the build blog on the MotoLady site which was an integral part of the development of the site and community. That being said, welcome back to the Monster Project. 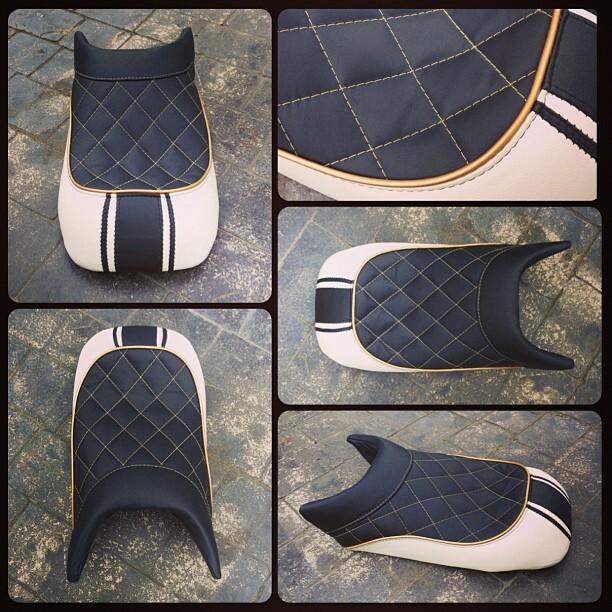 Today we’ll be going over what details were involved in the transformation of my Corbin Ducati Monster seat- chop, reshape, refoam, recover. 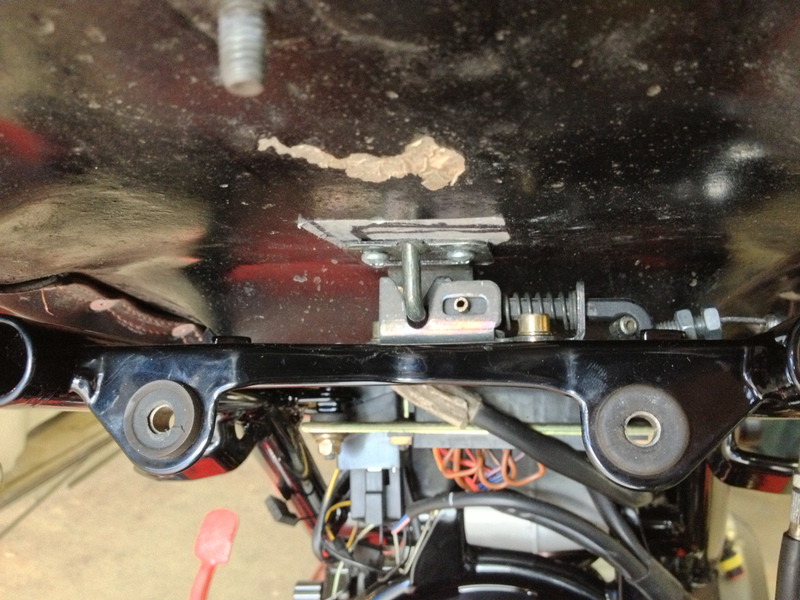 First thing’s first, remove the bracket that holds the seat latch. Cut off the extra tab from when it was stock and holding other crap on it. 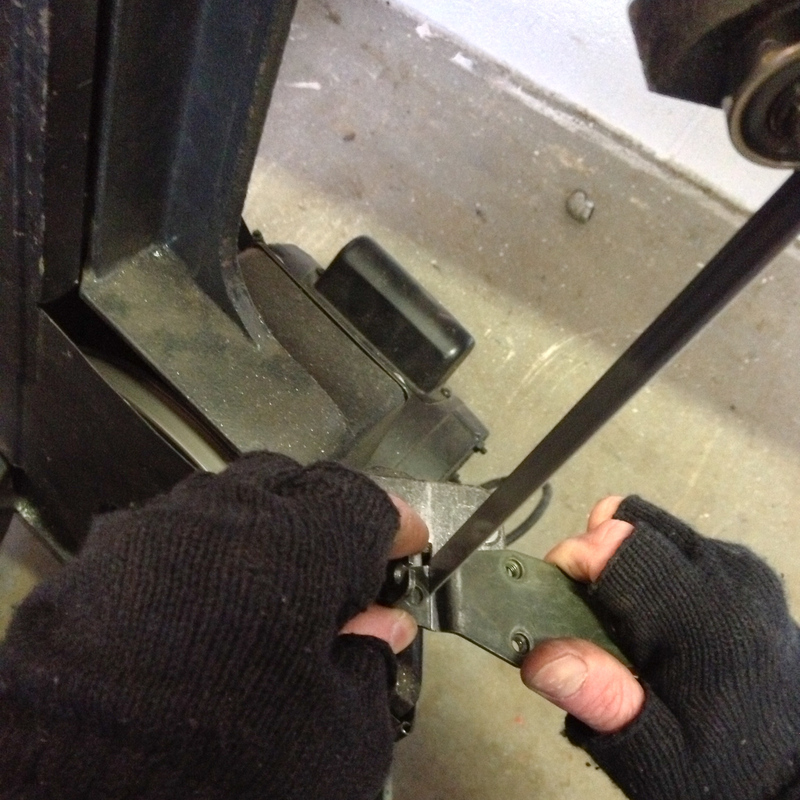 We marked the proper position on the Corbin seat pan for the latch hoop. 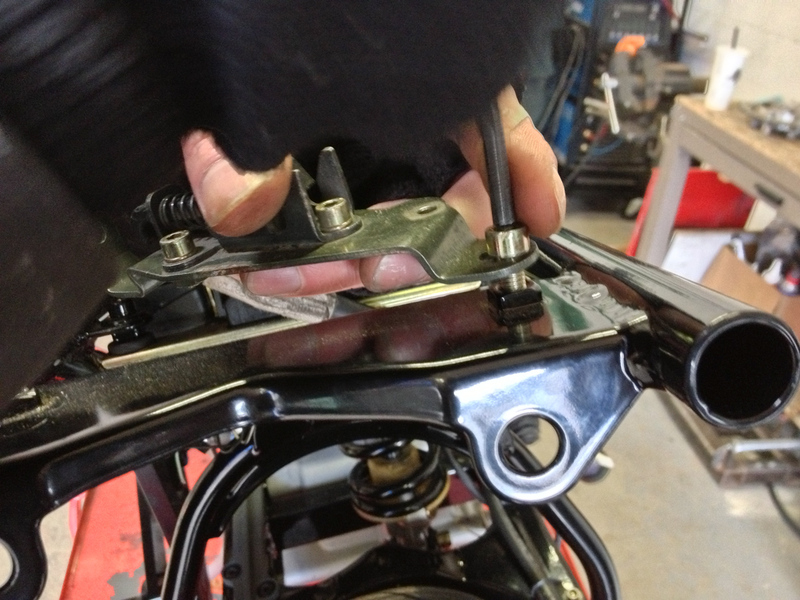 When we chopped the rear end of the Monster frame, we moved the subframe crossmember back so I could use the stock seat latch piece. 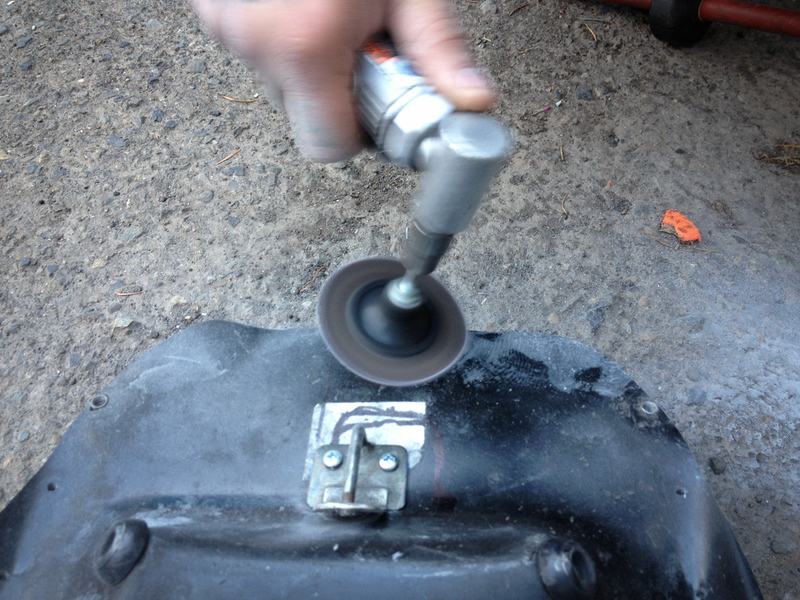 We just needed to move the pieces and reattach to the pan in the correct place. 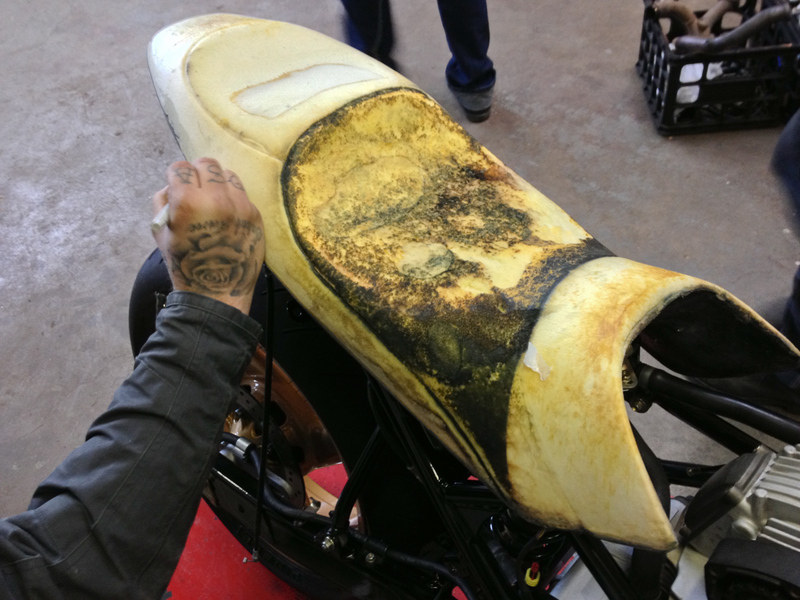 After we screwed it into the pan we replaced the big ugly stock seat onto the bike to make sure the latch closed and worked properly. 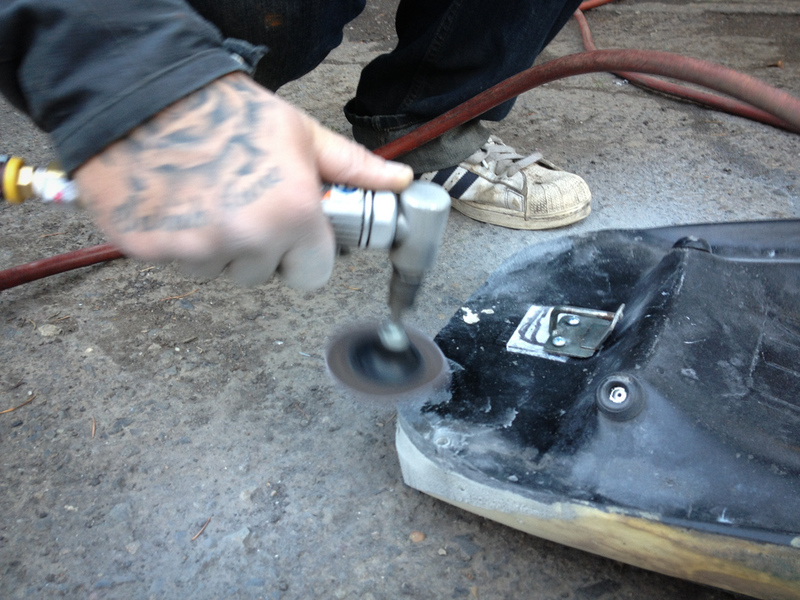 I then drilled out the center of the rivets so we could remove the cover. Shelby and I then peeled the cover from the foam, slowly, and as parallel to material as we could manage to lessen tearing and ripping of the foam. The corbin seats are filled with foam after they’re wrapped up, so it completely adheres to all of the surfaces. After released, the seat cover kept it’s shape almost perfectly. 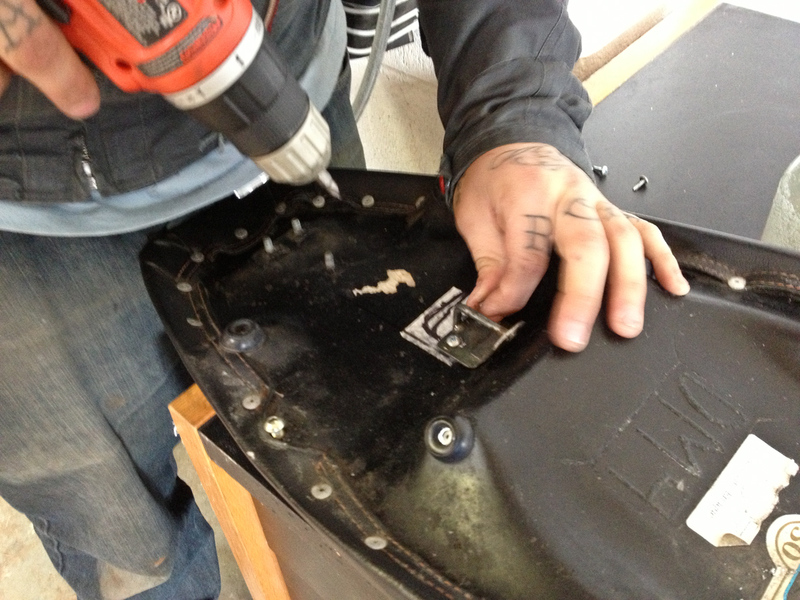 We replaced the seat and made marks with sharpie to guide the chop. 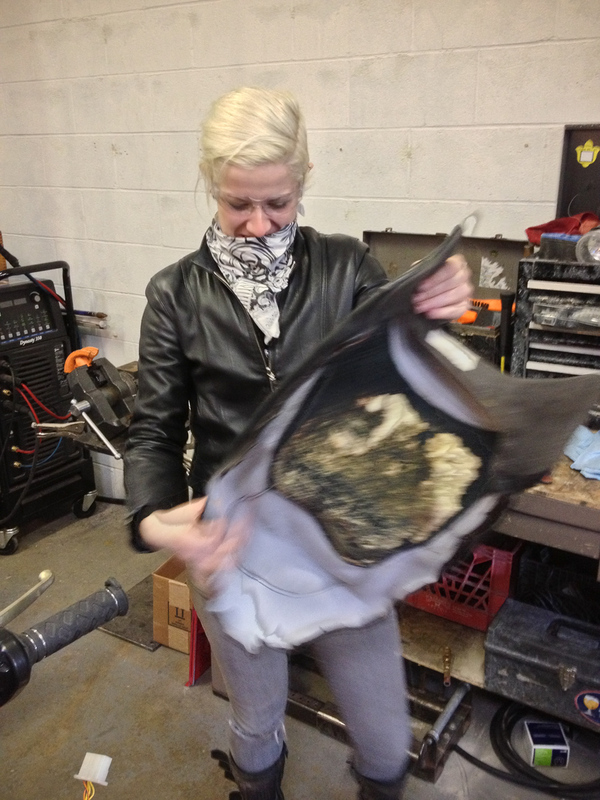 The idea here was to leave a shapely tail made out of what was left over the of pillion section of the Corbin pan. We chopped a good seven inches off the seat. 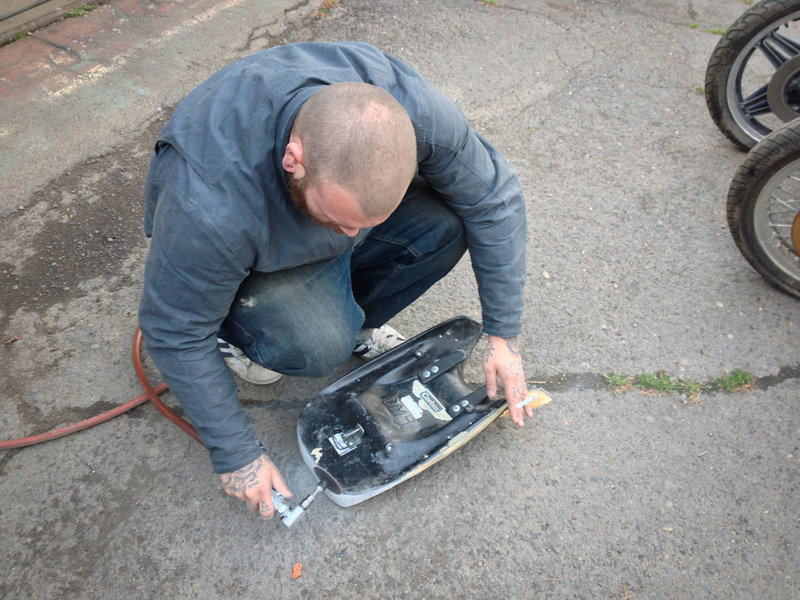 After a rough cut, we put it back on the bike to look at the shape. The fiberglass pan needed to be sanded down on the edges to make it flow better. 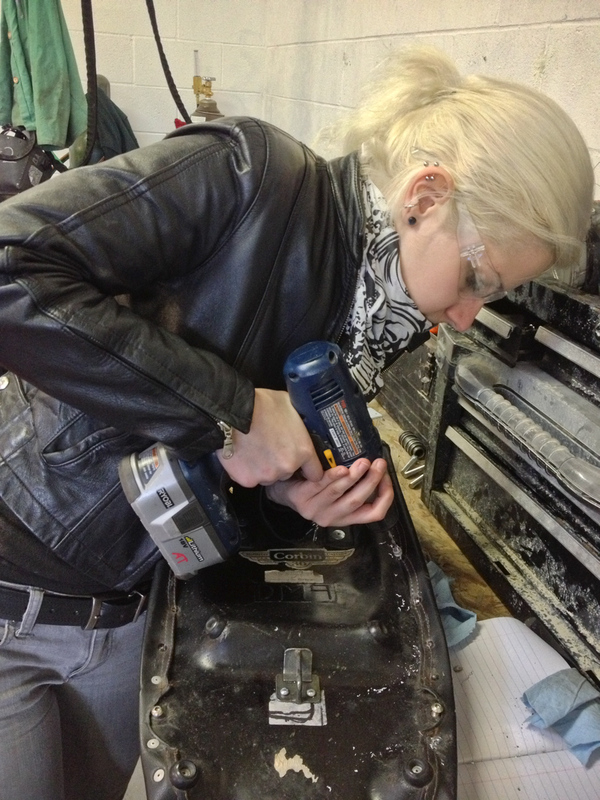 So Shelby got to sanding. I drew the corner angles to guide Shelby in the rounding of the seat, and little by little it took shape. 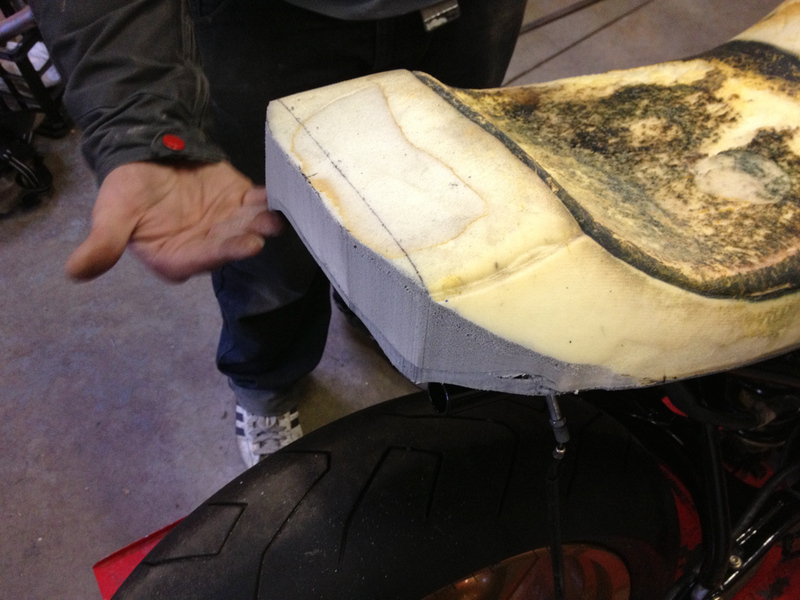 Once we did some rough shaping, we put it back on the Monster. For the first time in the entire build I got to see the real shape of my bike as I had dreamt it. No pillion seat for taking passengers- I have zero interest in that. Plus, it just looks more balanced this way. After that, Shelby took the seat with him and worked his magic. He reshaped the foam a bit more, added a little bit of foam to fix the wonkyness from peeling the stock cover off, and basically made it amazing. 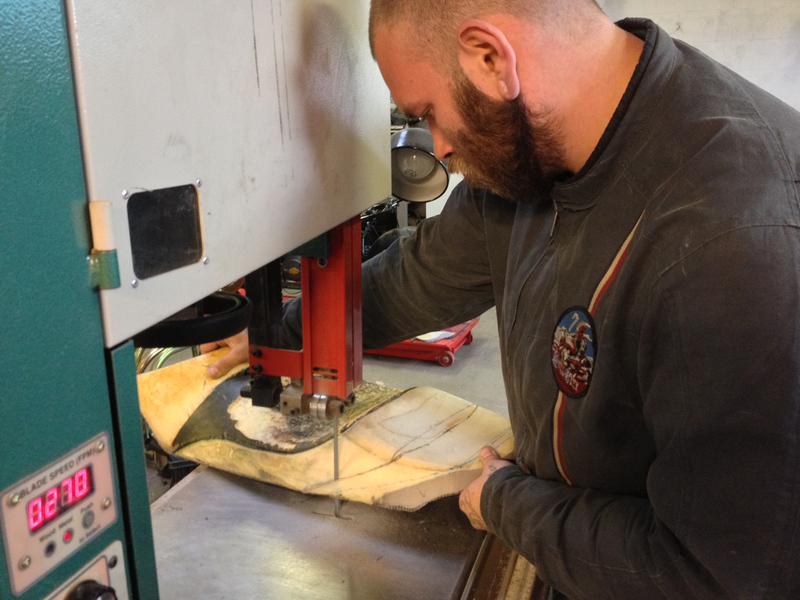 You can see Shelby’s work at Reap What You Sew Custom Upholstery on Facebook. He is located in Portland, OR. For those of you who aren’t familiar, check out the finished product of the Monster Build, “Pandora’s Box” here. I really dig that seat. I haven’t chopped mine on my M750ie, but I did get rid of the Corbin because of the stiffness and the overall fit. I’ve got a new Ducati “comfort seat” that I really like, but would like to have the red racing stripe I have on my seat cowl sewn onto the seat as well. The cowl is great, but it has gotten a few scratches, and that’s not good for a paint job that cost $2000 (entire bike, included damage from someone kicking the bike over). I’ll see about contacting Shelby about having this done. Much respect. I am planning on tackling this project myself for my CB350. I’m completly scrapping the Honda’s OEM style and building from bottom up. The Vincent black shadow’s saddle is my influence and the decision. I’ve made as to style and shape. I figure bottom layer, strong foam , then next up, memory foam, followed by gel inserts on the concaves and then a layer of waterproof foam with me finally wrapping it up with brown leather from my A-2 flighty that i’m sacrificing. I have a lady on tap who’s offered to do the wrapping and stitching free, which is sick considering thr cost. A double stitch has been chosen using teal, the bike’s color, and either black or tan in most likely a diamond stitch pattern. You or you guy’s are awesome. Glad to have found you.